Add IVR announcements and business hours of your Cisco contact center CCX or CCE. Manage planned/unplanned outages, promotions, greetings with Easy Announcements. Also, add hours of operations, public holidays and exceptional hours on the contact center calendar. An easy announcement is one or more prompts to be played to a caller on the IVR. Administrators/supervisors can quickly add or change announcements on the IVR (greetings, promotions, outages) with a web-based interface. By adding calendar time/date and region, announcements can also be scheduled to be played over a certain time/period and for particular caller segments only. 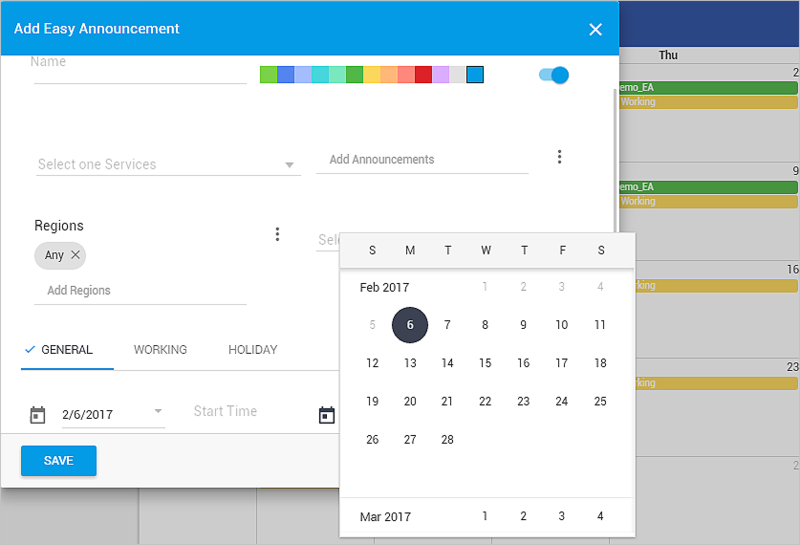 Business calendars allow administrators to add, change opening/closing hours of the call center, define public holidays and exceptional hours of operation. 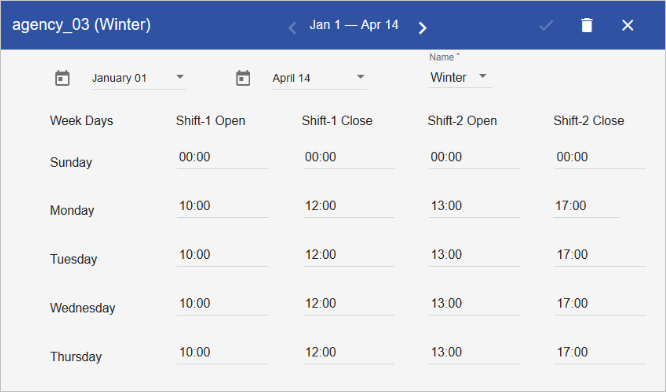 Administrators can create business shift timings with multiple shift schedules. For instance, different shift openings for winter and summer seasons. In a multi-tenant or multi-site environment, this helps in independently managing working hours and holiday profiles of several of your business units. A folder structure interface to upload new language prompts while showing already uploaded prompts from UCCX or UCCE media server. 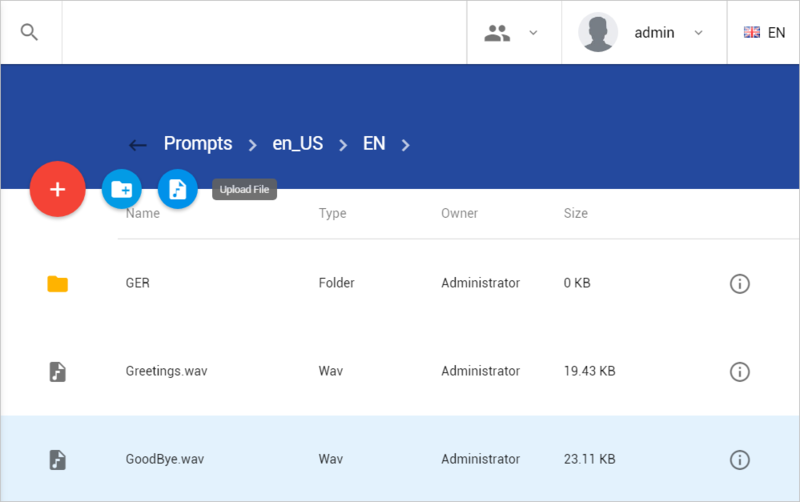 While uploading, the application validates the format with audio format compliance. Use these prompts while creating easy announcements to be played back on the IVR. See Hardware Sizing sheet for detailed machine specifications. Get a single license with both of the two modules in just $150 per concurrent agent.